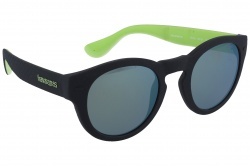 Havaianas glasses are one of the most representative brands inside the sector. As all products of the brand their glasses transmit happiness and fun. The company uses first quality materials to allow the best comfort and durability. 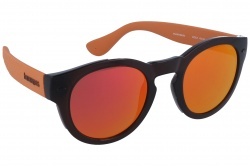 Havaianas eyewear contains in their catalogue a wide variety of models for men and women. Its collections are inspired in the nature and culture of the beautiful Brazil. The colours used in their products are striking and cheerful, providing an informal style. 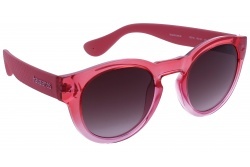 Colour and originality in their frames make these glasses the perfect combination for a fun and informal look. In our online store you will find the best Havaianas models. During the purchase process our professional team will assess you. Havaianas was born in 1962 in Brazil with their first flip flops launch. 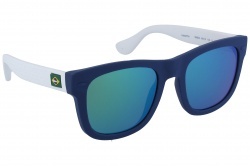 The name of the brand is used in Portuguese to name the Hawaii inhabitants. In 1999 the brand starts commercializing worldwide. Thanks to this its popularity grows as their sales. In the year 2010 the company opens its first store in Spain. Today, we can also find them in Portugal, France, United Kingdom and Italy. 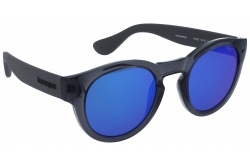 In the year 2015 the brand decides to start commercializing sunglasses with the Italian company Sáfilo.